Former New York City Mayor Michael Bloomberg called President Trump "a threat to our country" but warned, "We cannot allow the primary process to drag the party to an extreme that would diminish our chances in the general election" and give Trump four more years. Former New York Mayor Michael Bloomberg has announced he will not run for president in 2020. "While there would be no higher honor than serving as president, my highest obligation as a citizen is to help the country the best way I can, right now," Bloomberg wrote in an op-ed on the news site he owns, Bloomberg News. "That's what I'll do, including the launch of a new effort called Beyond Carbon." Beyond Carbon will be the 77-year-old billionaire's effort to "retire every single coal-fired power plant over the next 11 years" and to "begin moving America as quickly as possible away from oil and gas and toward a 100 percent clean energy economy." Bloomberg, who was first elected mayor of New York as a Republican, opted out of a growing field of Democratic candidates. Bloomberg served as mayor of the country's largest city from 2002 until 2013. He switched parties to Democratic and independent during his tenure but has typically supported more liberal social causes. Bloomberg called President Trump "a threat to our country" and said that "New Yorkers know a con when we see one." But Bloomberg also warned, "We cannot allow the primary process to drag the party to an extreme that would diminish our chances in the general election" and give Trump four more years. As for his own prospects, he wrote, "I believe I would defeat Donald Trump in a general election. But I am clear-eyed about the difficulty of winning the Democratic nomination in such a crowded field." Gun control has been a focus for Bloomberg in recent years in the wake of an increasing number of mass shooting via his Everytown for Gun Safety group. Bloomberg has backed candidates who advocate for tougher gun restrictions, and during the 2018 midterms, he also committed $100 million to helping flip the House and Senate. It was then that he announced he was rejoining the Democratic Party. 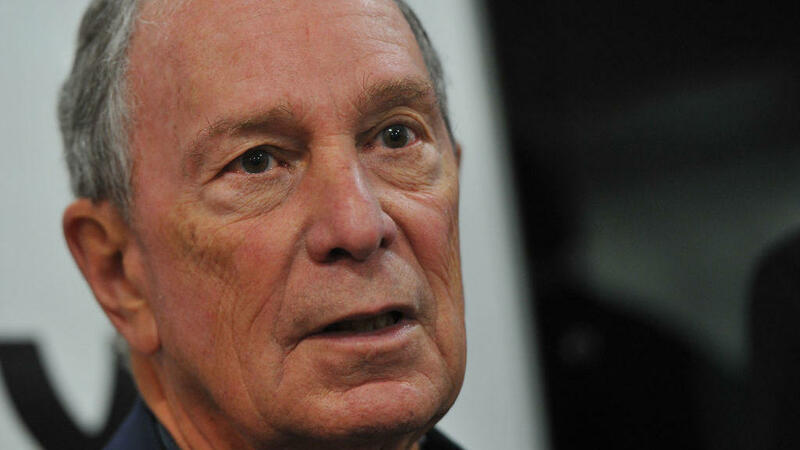 A presidential run could have caused complications for his ownership of Bloomberg News. And some of Bloomberg's past policy positions while New York mayor could have also proved problematic. He has been heavily criticized for the implementation of stop-and-frisk policies by police, which disproportionately targeted African-American and Latino men. Bloomberg has flirted with a White House bid before, including weighing whether to run as an independent in 2008 and 2016. But, he ultimately decided a third-party bid wouldn't be viable. And as former Starbucks CEO Howard Schultz has also flirted with an independent run, Bloomberg cautioned him against such an idea. "The data was very clear and very consistent. Given the strong pull of partisanship and the realities of the electoral college system, there is no way an independent can win. That is truer today than ever before," Bloomberg said in a statement earlier this year. "In 2020, the great likelihood is that an independent would just split the anti-Trump vote and end up re-electing the President. That's a risk I refused to run in 2016 and we can't afford to run it now." However, after Bloomberg's own announcement that he wouldn't run this time at all, Schultz argued that the former New York City mayor's decision not to run as a Democrat showed that the only way forward was as an independent if a middle-of-the-road candidate was to be successful. "Mike Bloomberg is inarguably one of the most effective leaders of government our country has seen this generation - because he governed from the center with big ideas, pragmatism and common sense. In an era of paralysis and dysfunction, he has been an exception," Schultz said in a statement. "I've long said that there isn't room for centrist moderation in either party and it appears Mr. Bloomberg has come to that same conclusion."